Hold Me in the Uncertainty. Last night I texted my spiritual director (God bless that man for putting up with me - I mean who texts a priest at 8pm and gets a response). I was feeling a little sad because the chilled air and dark evening reminded me of this time last year. I met a man who I really truly, more than ever before believed I would marry. And so there I was feeling the sadness growing in my body. I know myself pretty well by now so I know that I cannot sit in the sadness too long without reaching out to someone. I told him I was sad, but that I also knew that the sadness was that same old fear that I'd never find anyone. Father Michael responded to me, "Fear preys on us when we allow it to fester. Why waste time in sadness and fear? You need to literally count your blessings." 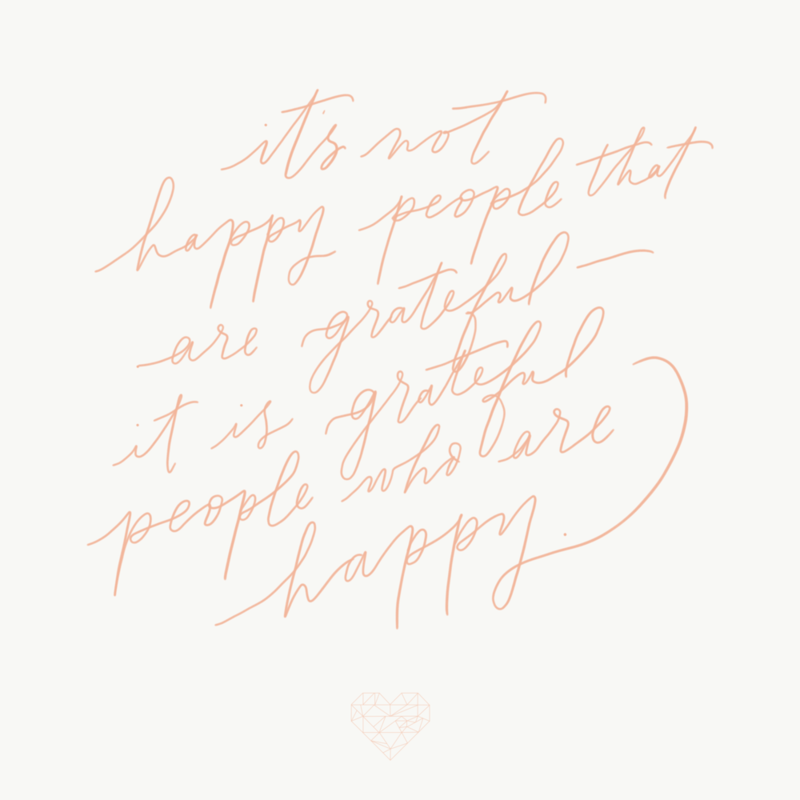 Oh, right - Marylouise had just shown me a quote earlier in the day "it's not happy people that are grateful, it is grateful people who are happy." I know this. So I got to counting my blessings. My oh my, I really do have so many. Who cares that last year I had a million hopes for my future with S, it does not make this holiday season bad - just different. The sadness lifted. I became grateful for the experience of a man flying across the country and showing up on my doorstep Christmas night - because really, how many people get to experience that kind of excitement in life? Father Michael also sent me his homily from this weekend. It was brilliant, per usual, but the part that I can't stop thinking about today is the idea that God works in uncertainty. The whole world seems a bit uncertain these weeks. But it is in the uncertainty that we allow room for God to work, to fill that empty space. This morning I opened my inbox and saw an email from MyDomaine, which I get every day, but today my name was included. I get to work a lot with this particular client - she's very faithful to me. I knew my work would be in the article, but I didn't know she would say such nice things. I was filled with the kind of good pride that recognizes that I am using the talents I have been given. My instagram is full of photos that people have tagged me in with the Advent Journal and Jesse Tree Cards that I designed for Blessed Is She. All the women are saying how excited they are to join us for the 4 weeks of Advent leading to Christmas. I am filled with the kind of good pride that recognizes that I am using the talents that I have been given. I spent my day painting a wedding invitation for a sweet couple as well as a holiday card for a client who is opening a new children's boutique. I got four email inquiries for upcoming projects. I am filled with the good pride that recognizes that I am using the talents that I have been given. What a joy. I have so much to be grateful for. But you see, it wasn't always that way. I was thinking about the time that I lived in Brooklyn at Heart's Home. They so kindly let me rent a room in their house upon my return from Brazil as I figured out what in the world I was going to do with my life. I would come down for breakfast at the big table, everyone else had already been up for an hour and had eaten breakfast so I would sit at the table with my laptop. And I would search for jobs. And I would apply for jobs. The others would come in and out and ask me if I was having any luck today. Sometimes I would tell them about "the perfect position for me" that I had just found and sometimes I would sigh and say "nothing." I started nannying right when I got there and had 4 really lovely babies who I spent my days with, but I hadn't gotten a very expensive college degree to do the same thing I did when I was 10. (Don't get me wrong, I love those children like they are my own, to this day). Times were so uncertain for me. It took me 10 months to find another job. I really thought that a salaried job was the ticket for me! I would finally feel settled and happy. I quickly learned that I didn't like it and I wanted to know how those people were at a coffee shop in the middle of the day on a Tuesday. I eventually moved to Los Angeles. Again so much uncertainty. Another five months of job hunting and coming up with nothing that was going to fit my desired commute time, salary and position. My anxiety was through the roof and I just had no idea which way to turn. Nothing seemed right. And only in this uncertainty did I allow any room for God to work. I took this leap of faith (it was as scary as jumping off a cliff) and I would send a plea of desperation in my daily prayer. Today I am in awe of what has happened. I am filled with the kind of good pride that recognizes that I am using the talents that I have been given. All the questioning and searching and begging and hoping and wondering led me here. Right here at my desk, typing on my computer (sitting next to my best friend also over there typing on her computer). I get to teach (my lifelong dream), make things for non-profits who are helping people, design things for women seeking to grow closer to God, make name cards for pretty dinner parties, design books, write a book and go to a coffee shop on a Tuesday afternoon. Awe and wonder is my only response. But, of course, I still doubt. There is just that one tiny area that too often think that God won't take care of, that will be doomed forever. I despair in the uncertainty. Today I remind myself to remain in hope. To prepare the way. I am so grateful to be in a Church that meets me in the cyclical nature of life. It provides me with this upcoming time of Advent that is all about hope and peace and joy and that is exactly what I need. I will be bringing the uncertainty of life to the manger in the morning.